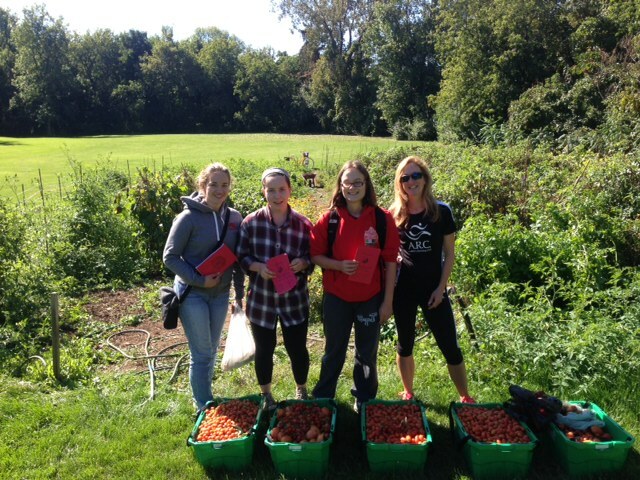 Thanks to the 10 volunteers at today’s harvest including these 3 IB program students from St Thomas and Isabelle’s two daughters! Approximately 250 – 300 pounds of tomatoes were picked for the food banks today alone! This entry was posted in Uncategorized on 26/09/2015 by The Author.